Happy Birthday Singapore! Its the long weekend. I guess its time to party and celebrate Singapore's 50th Birthday. 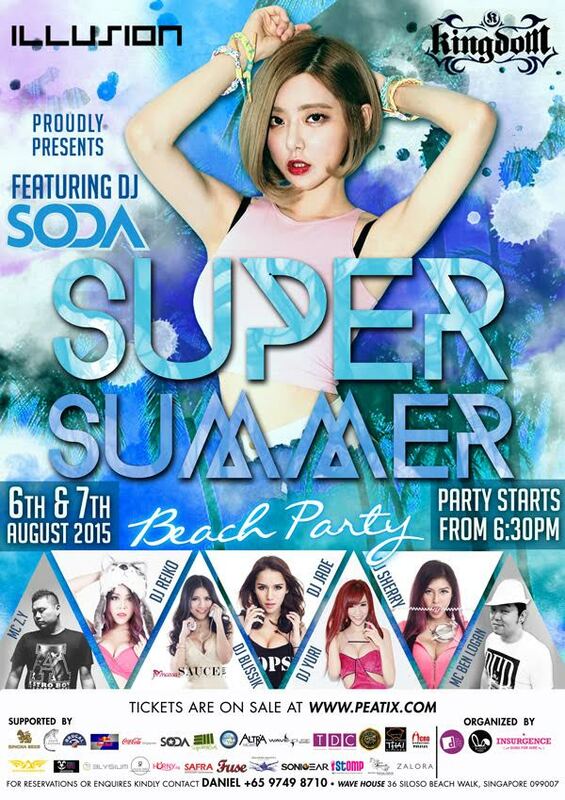 What's better than partying at the beach front with your friends, grooving to the hottest DJ from Korea - DJ SODA, spinning in Singapore! Gather your closest party animals and party tonight at WAVE HOUSE. My girlfriends, DJ Blissik @blissik and DJ Reiko @reikolah would be spinning there too! How cool is that!? Lets all go down and support them!! Want to win a pair of complimentary tickets to this exclusive party now? I bet you do! Okay, here's my question! Only 7 Pairs to be given away! NAME THE SONG THAT DJ SODA ALWAYS SPIN? EMAIL The Answer to The SG Sisters: thesgsisters@gmail.com by 11PM TONIGHT! With your Name and Mobile Number! 7pm at Marina Bay Sands tomorrow! This event is proudly organized by Insurgence. For Table Reservations, kindly contact Daniel +65 9749 8710. 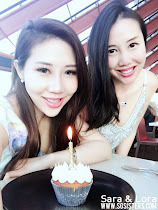 Real life experiences of 2 sisters Sara Shantelle Lim who lives in Singapore and Lora Christelle Lim who lives in Sydney, Australia that have gathered millions of interested readers and followers till date! THE SG SISTERS has more than 80 Million Views on GOOGLE + !!! One of the Fastest Growing Blog despite being newly launched in Jan 2013! 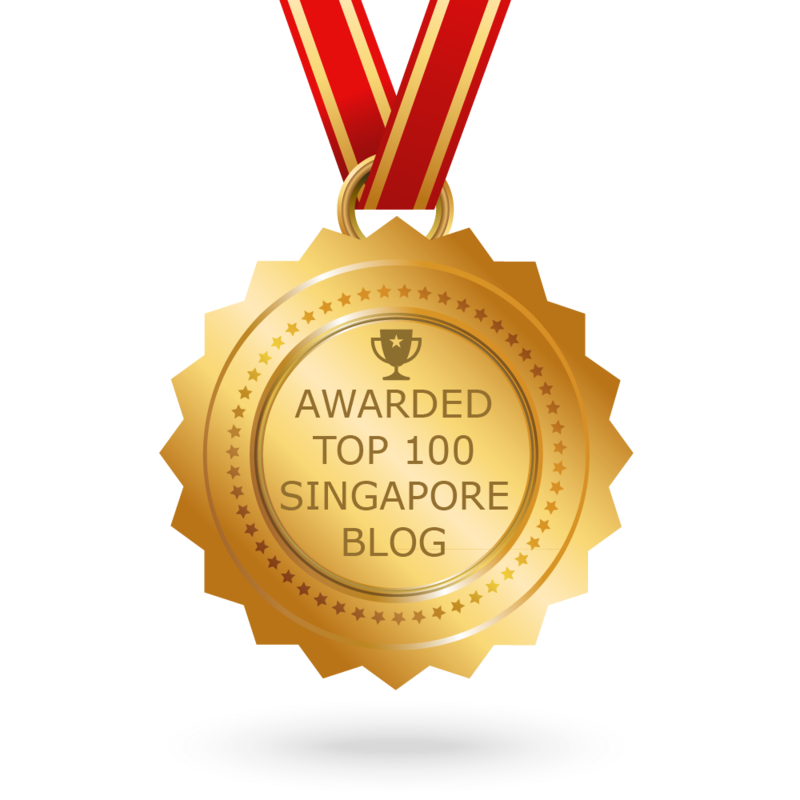 The SG SISTERS Blog is awarded Top 100 Singapore Blogs! Email to thesgsisters@gmail.com for advertising enquiries, invites to special events, reviews etc. and we will get back to you within 3 working days. Thanks! 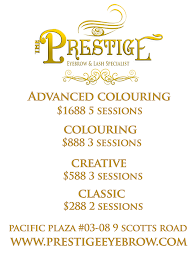 MOST LUXURIOUS IN ASIA - The Prestige Eyebrow & Lash Specialist at Pacific Plaza #03-08. 1st in Asia to specialize in Feng Shui Eyebrow Embroidery & Men Power Up Eyebrows. Call 67333369 for your free eyebrow embroidery consultation. 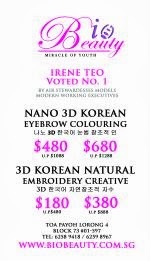 Irene Teo, voted number 1 in Asia for 3D Korean Eyebrow Enhancement, Eyebrow Embroidery, Eyebrow Creative, Eyebrow Colouring. Painless and Clean. Call 62598967 for your FREE Consultation today! One of Singapore's Top Beauty and Aesthetic Clinic by reputable Dr Elias Tam. His clinic offers patients a wide range of medical aesthetic treatments for the face, body and hair using some of the latest, FDA-approved medical devices and procedures available in the market, ranging from FUE hair transplants to non-surgical face-lifting, medical facials, fat freezing, body sculpting, botox and filler treatments. Sara Shantelle's Official Hair Sponsor. The Scene is located at Robinsons Orchard Level 3. Art Director, Michel Ng. Robinsons Orchard, 260 Orchard Road, Level 3. Call 6235-9969 & Quote "Sara Shantelle" to enjoy 10% discount on all Hair Services! SaraShantelle No.1 Head CPR Hair Tonic with Wild Ginseng Extracts - FREE TESTERS AVAILABLE. Bespoke Hairstyle and Makeup for Weddings & Special Occassions. Expert in Korean-inspired Makeover & beauty looks! Advertise your Company, Blogshop, Restaurant, Business on this Blog. 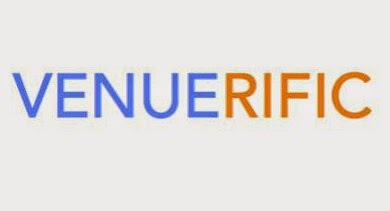 With more than 24 Million Views on Google Plus, this blog is one of the fastest growing Blog on an international level. 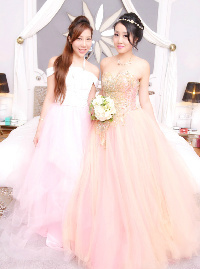 Singapore's renowned bridal boutique which provides exquisite quality bridal services, finely embroidered designer wedding gowns as well as highly experienced wedding photography and cinematography services. 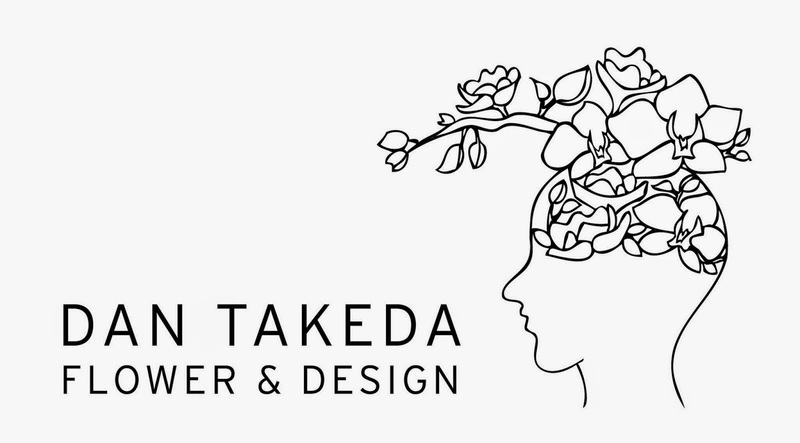 Singapore based renowned Japanese Flower artist who does flower arrangement for Louis Vuitton, Gucci, Christian Dior, Van Cleef & Arpels, Furla & other luxury hotels! 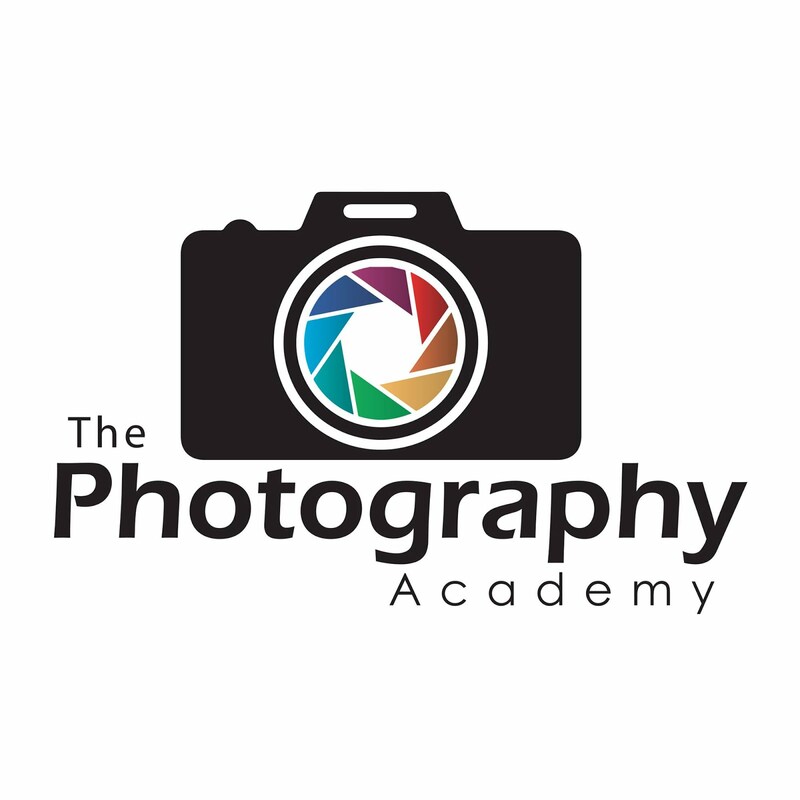 Professional Photography services by highly-skilled and experienced photographers who utilizes the most advanced photography equipment and techniques! Singapore's favourite online cake shop that prides itself with baking the perfect gourmet cake to make your special occasion a truly memorable one! FAT FREEZING - One of the most popular treatment in all aesthetic clinics is Fat Freezing where fat cells are effectively destroyed using cooling plates. It is extremely affordable, almost painless with little or no discomfort and have reaped excellent results for many customers. Hand painted portraits by professional artists. Individual portraits, couple portraits, wedding portraits, friendship portraits, baby portraits, graduation portraits, family portraits. International Shipping. Perfect Gift Idea! 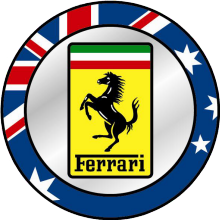 The Sole Distributor of Apollo & Vredestein Tyres in Singapore. 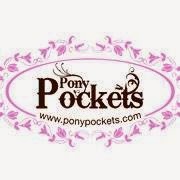 Check out their amazing online clearance sales now. Freebies starts from 1 November onwards. 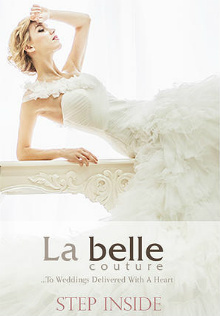 Rent or purchase beautiful wedding gowns, evening gowns and accessories from www.Dolce2Dolce.com. Quote "SGSISTERS" to enjoy 15% off! Visit their showroom at PARKROYAL on Beach Road Hotel today! 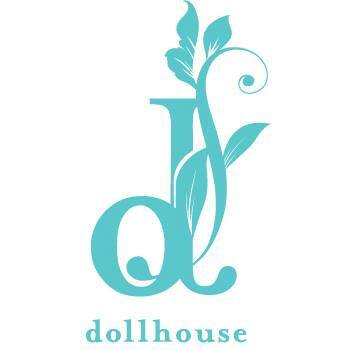 Singapore's online clothing boutique selling chic and fashionable womenswear and menswear at affordable prices! Local and international shipping available! My beautiful Evening Gowns from D2D at Park Royal Hotel at Beach Road. - Sara. Shop on Bonusbay to enjoy SGD$5 bonus off your shopping cart. Shop from famous online stores like Apple Store, SONY, Zalora, Shopbop, Strawberry.Net, ZUJI, Booking.com, YOOX.com, Adidas etc. With Bonusbay, you will get to enjoy cash back up to 8% off your expenditure. Cash back more than $15 and withdraw the money back into your own bank account. Enjoy Great Savings for all your Online Shopping today with BONUSBAY! Singapore Online Clothing & Accessories Store at affordable prices! Stylish and beautiful dresses to suit any occassion. 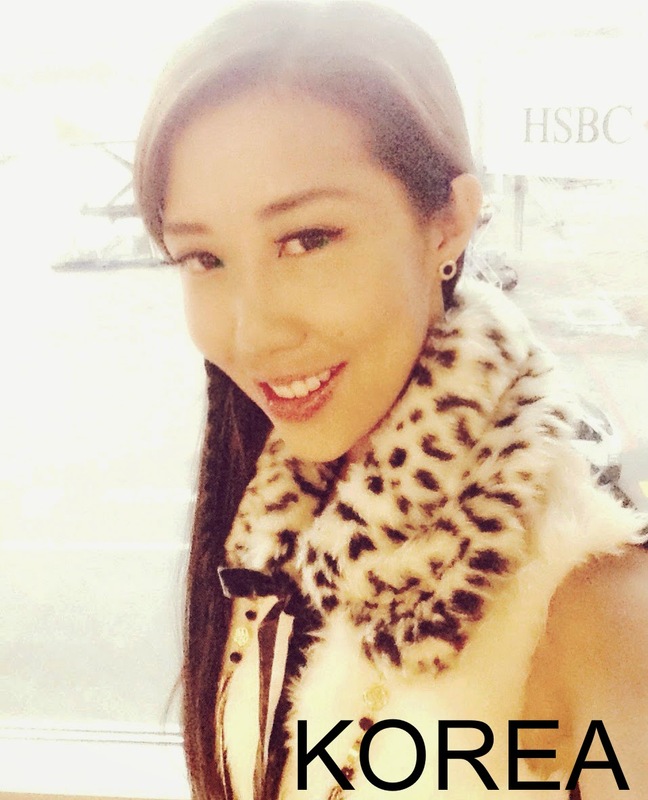 Look out for upcoming Instagram Queen - Jamie Chua's signature collection! SaraShantelle No.1 Head CPR. Anti-Stress. Hair Growth Tonic with Wild Ginseng Extracts. Testers available at SASA cosmetics, Clariancy retailers, SuperBerry.Me at Orchard Central. Click here to buy now using PAYPAL. International delivery to your doorstep. Free postage for Singapore. 10% of all her online sales from www.SaraShantelle.com.sg is donated to Singapore's Children Society. Purchase SaraShantelle products from SuperBerry.Me located at Orchard Central #03-29. 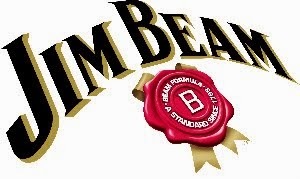 Superberry promotion: Buy 1 product and enjoy a 50% discount off the 2nd product. FREE TESTERS AVAILABLE. Purchase SaraShantelle, The Skin Professionals and ECOCARE (Australia) products from Clariancy outlets. FREE TESTERS AVAILABLE. SaraShantelle is available at SASA Cosmetics, Clariancy Outlets, SuperberryMe, Zalora.sg, Szhop.com. 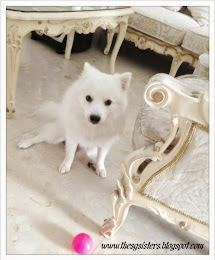 You may also purchase from www.SaraShantelle.com.sg using PAYPAL. International Postage available. Free Postage to all Singapore Addresses. Official Car Polishing Sponsor: DETAIL MANIA Quote "Sara Shantelle" to enjoy 15% Discount. 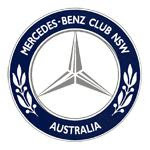 Official Car Polishing and Paint Correction Sponsor for Sara Shantelle Lim's Mercedes SLK. "My SLK looks like a brand new show room car! Thank you Detail Mania!" - Sara. 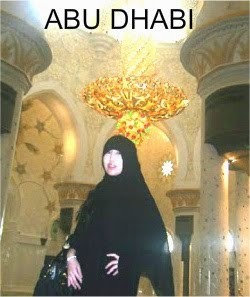 Beauty & Aesthetics: Dare to go Bare (NO MAKE UP) - Secrets of a Stewardess - Look like a Barbie Doll even without Make Up. Eyebrow Embroidery, Eyebrow Creative, Eyebrow Enhancement. EUROPE TRIP 2015 - Visiting the Ferruccio Lamborghini Family Museum - It is all about the Lamborghini Family! TRAVEL - Sara Shantelle Lim Travels to Melbourne Australia on Singapore Airlines Business Class - To visit the Melbourne's Instagram worthy Pink Lake and the 12 Apostles. TRAVEL - Sara Shantelle Lim Travels to GREECE - Athens, Santorini & Mykonos Islands (Part 1) - The Acropolis, The Roman Agora, Dynasta Hotel Suites Athens. 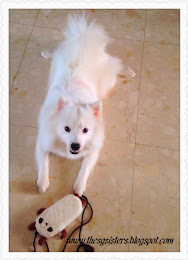 PENG JOON'S Internet Income Intensive: How to earn a PASSIVE Income Online - Work from No Home. 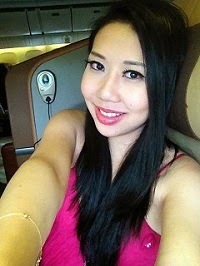 TRAVEL - Sara Shantelle Lim Travels to CEBU Philippines on Singapore Airlines Business Class "What to do in Cebu?" (PART 2) - Movenpick Hotel, Paragliding, Banana Boat Ride, Jet Ski, Island Hopping, Snorkeling + Extreme Sport - Oslob Whale Shark Watching, Canyoneering & Cliff Jumping. 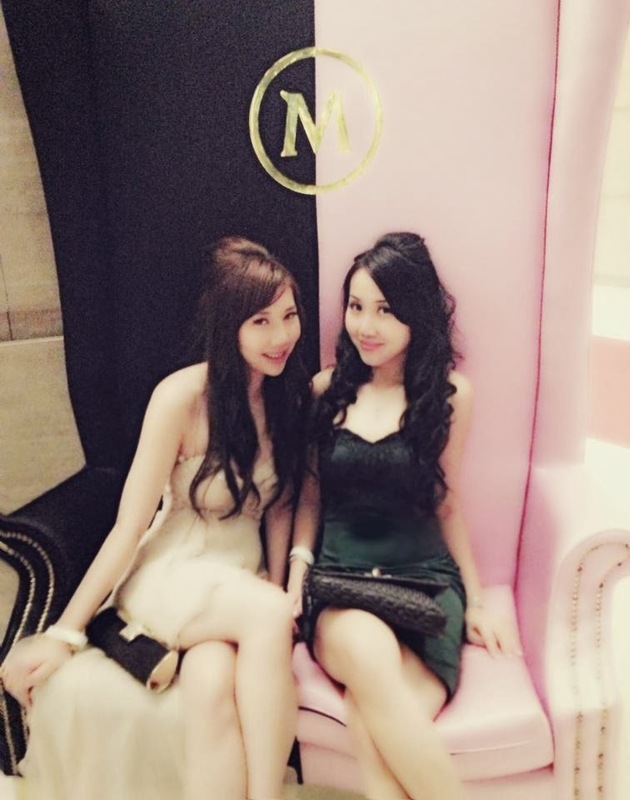 This blog is written by 2 Singaporean Sisters - Lora Christelle Lim & Sara Shantelle Lim to share about their lives with friends, family and fans. Click on image to learn more! With more than 80 Million Views on Google+, The SG Sisters is one of the fastest growing blog despite being newly launched at the start of 2013! Sara Shantelle & Lora Christelle. Email to thesgsisters@gmail.com and we will reply within 3 working days. 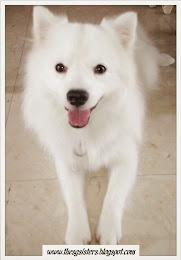 Affordable Advertising starts from SGD$1800 for 1 blog post and SGD$500 for 1 month side banner. 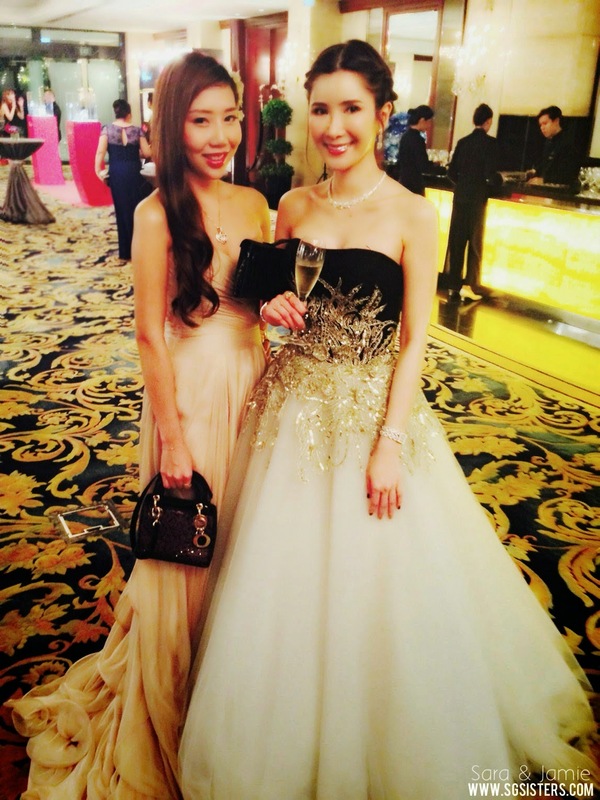 Read all about the Most Talked About Birthday Bash in Singapore! YAHOO! News Live Interviews & THE INFLUENCER NETWORK Interview included! Click on image to go straight to watch the Videos! All thanks to Yahoo! 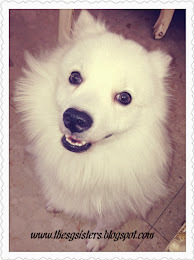 My blog has more than 30,000 views a day! - Sara. 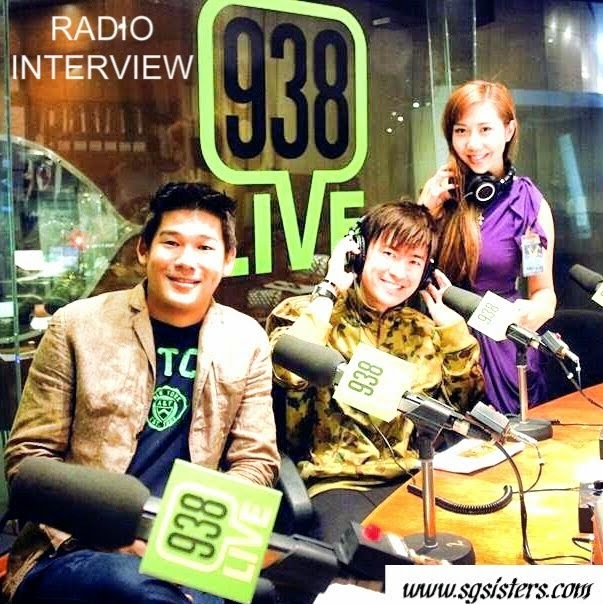 Sara Shantelle's Exclusive LIVE Interview on MEDIACORP RADIO 93.8FM ! 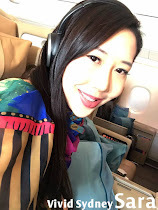 Click on image to read and listen to Sara Shantelle Lim's radio interview where she spills the beans about being a Celebrity Luxury Blogger on THE INFLUENCER NETWORK (TIN). 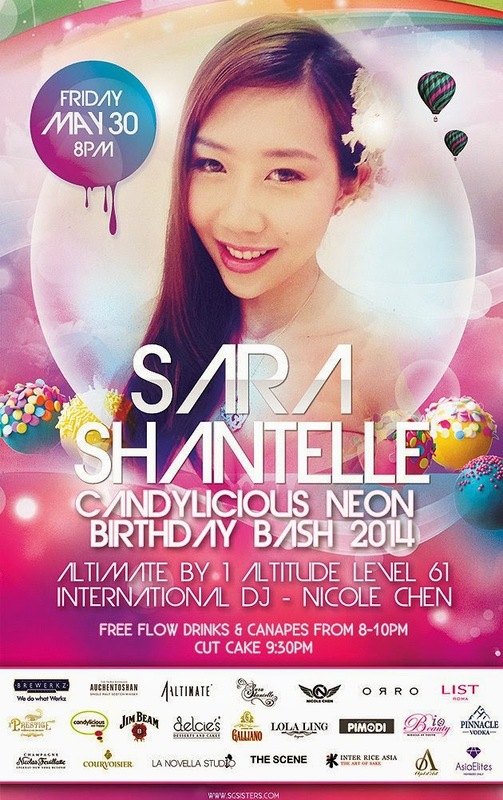 Sara's $40,000 Birthday by Billy Yuen (Vzuall Studio) featuring Mediacorp Radio 98.7 FM Deejays! 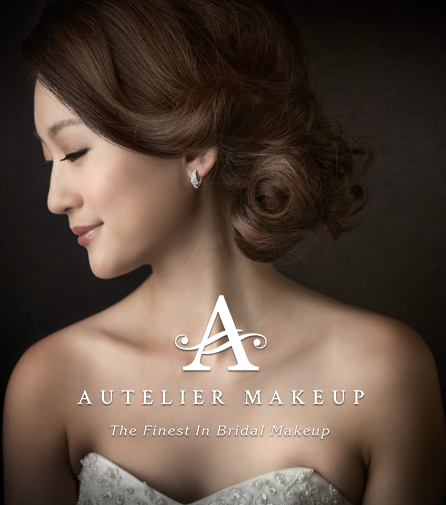 Singapore's Professional Wedding Hair & Makeup company that is dedicated to make every bride look her best on her wedding day! Singapore's Multi Award-winning & World's Top 30 Wedding Photographers - Joe Teng who specialises in exceptional pre-wedding and actual day wedding photography services! Click image to read more about Singapore's Top Wedding Photographer - Joe Teng from ACAPELLA Photography which was awarded World's Top 30 Wedding Photographers, Korean Bridal Hair & Makeup done by Carina Tan from Beauty Buzz Inc. and Wedding Gowns by DOLCE2DOLCE! Click image to read all about Lora's Pre-Wedding Photography at Sofitel So Singapore Luxury Hotel done by Blackwater Photography, Wedding gowns from Beautiful Love Wedding, Flowers from Dan Takeda, Sara's gowns from Dolce2Dolce and PRIVE, Makeup and Hair by The Prestige Eyebrow and Lash Specialist! 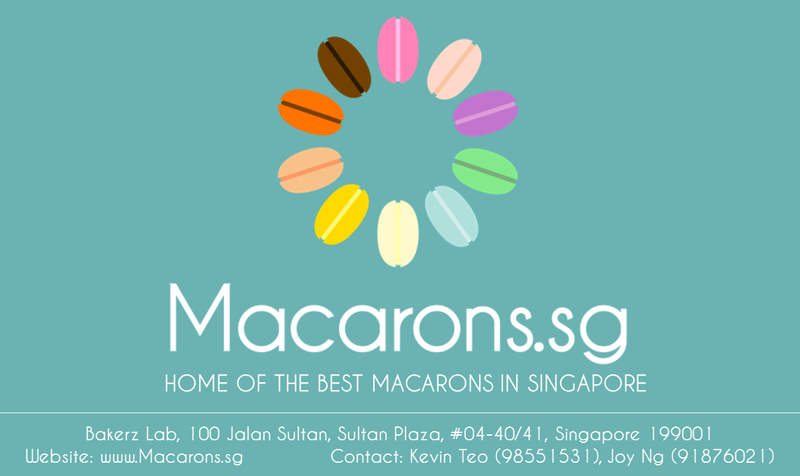 Home of the best Macarons in Singapore! Now you can design your very own logo to be printed on each Macaron to wow your friends! Personalized macarons are available to create a memorable event! Singapore's Most Popular Cake Company that specializes in baking customized cake designs to suit any special occassions! Singaporean luxury blogger Sara Shantelle Lim knows beauty so well that she launched her own beauty line, Sara Shantelle Skincare. Bodycare. Haircare. After enjoying success in Singapore and Southeast Asia, Sara is now bringing her beauty products to the USA. One of Singapore's Top Wedding Photographers & Special Occasions Photographers! Specializing in designing and sculpting Balloons for special events and memorable occassions! Weddings, Birthday Parties, Anniversaries Balloons to help create magical moments for you and all your guests! Click here to read about how Lora graduated with a Masters of International Business qualifications from the University of Sydney Business School in 2013! Read up on Tips on how to get your Birthday Party fully sponsored by large companies with clever marketing proposals! Click on image to go straight to The Influencer Interview where Sara Shantelle Lim spills the beans about her biggest birthday bash of her life! Sara Shantelle's Exclusive Interview with WTF Wardbrobe Trends Fashion. 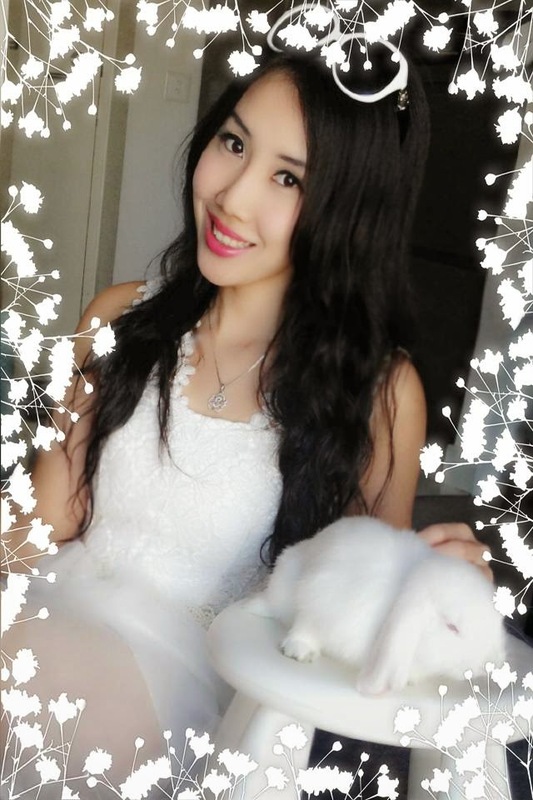 Mission Driven Entrepreneur, Model & Novelist is no other than Sara Shantelle Lim who aspires to build and brand her innovative beauty line products as the next Victoria Secrets of Singapore. 9 Days of exclusive daily interviews with WAN BAO - Singapore's Chinese Newspapers on her Fiction Novel - Dirty Little Secrets of an Air Stewardess. With 5 years of flying with a top international airlines, she shares her juicy and scary experiences of being a cabin crew. Read all about Sara Shantelle Lim's first time experience filming a Commercial with Celebrity Blogger Ben Jermie (Chocolatepistol) for SUPERBERRY.Me! Click on image to read about the ACF Awards Gala Dinner held at Marina Bay Sands where World-Class Designers specially flown to Singapore to showcase their unique couture collection! It was a great honour and privilege for Sara Shantelle Lim to be invited to host the very first Bentley Owners Club Singapore event together with Kelly. Held at Alkaff Mansion Ristorante, the Chinese New Year Gala Dinner 2015 was a huge success with more than 30 Bentley owners who turned up at this event with their loved ones and families. 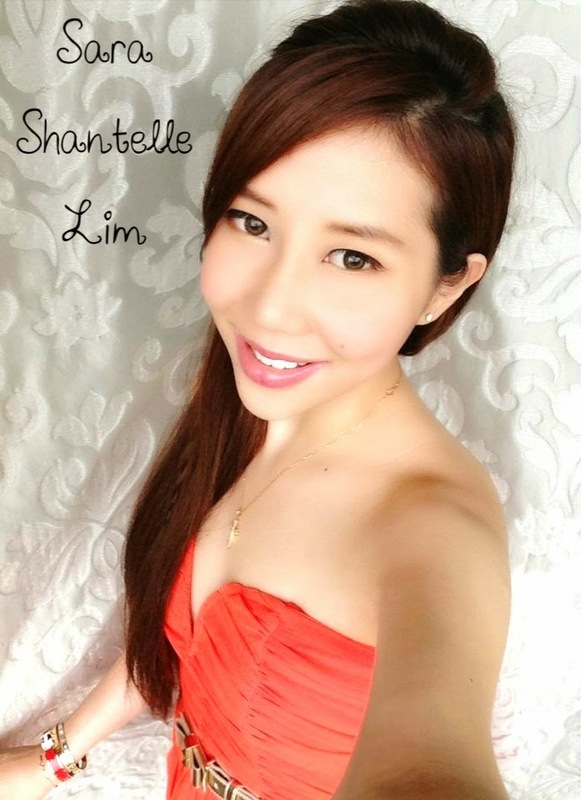 Read Sara Shantelle's review on The Prestige Eyebrow & Lash Specialist at Pacific Plaza. 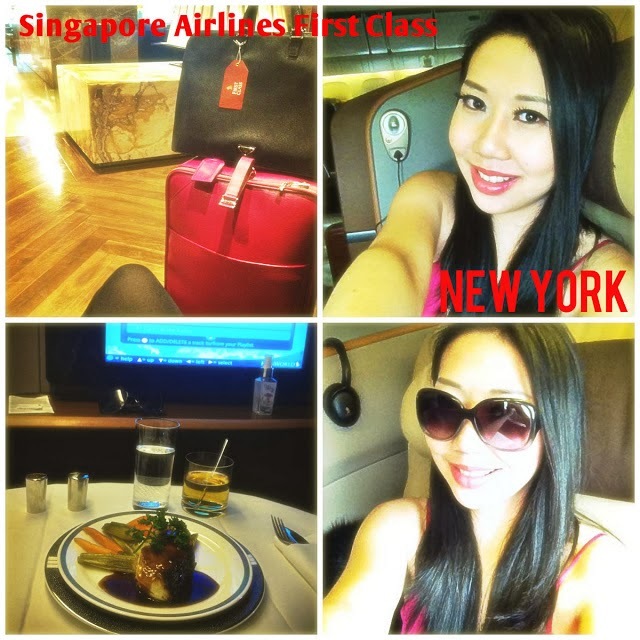 Read more about Sara Shantelle's Singapore Airlines First Class Travel Experience from Singapore to San Francisco. From the first class luggage check in lounge, to The Private Room lounge, buggy rides, Caviar and Champagne onboard. Read about Sara Shantelle's New York City Leisure Trip. She shares about Woodbury's Factory Outlet, Capella Group Hotel Suite, Mandarin Oriental Hotel Suites, and more. 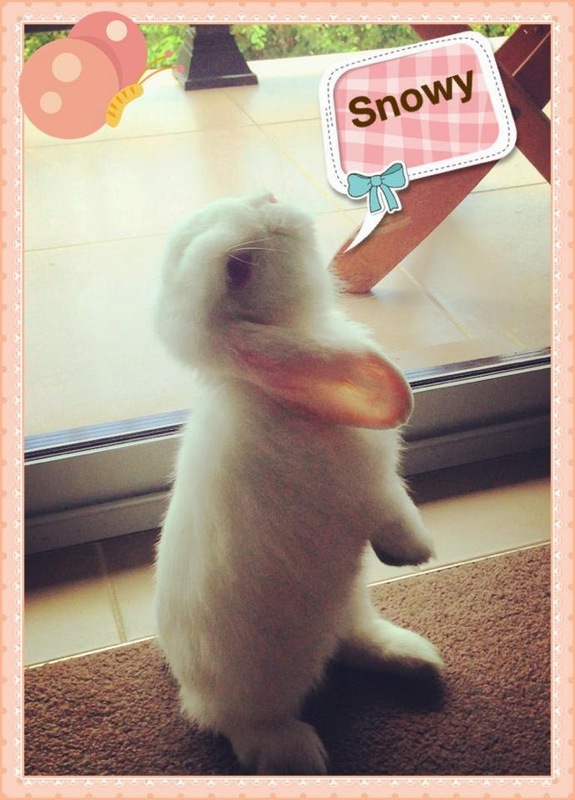 Read about Sara Shantelle's Sydney trip as she visits her beloved sister, Lora, in Australia. She shares about the Darling Habour, Queen Victoria Building, Celebrity Chef - Jamie Oliver. 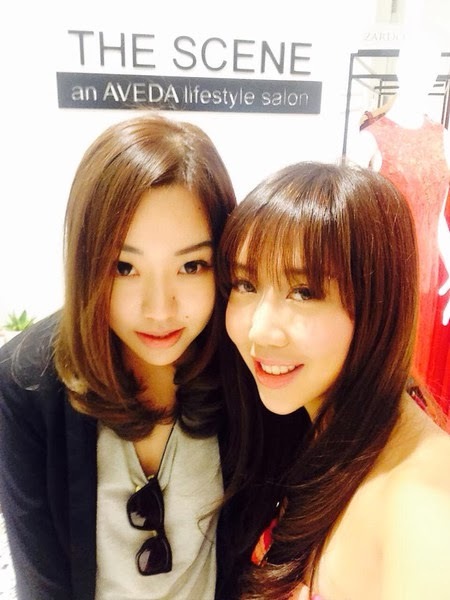 Read about Sara Shantelle's First Class (Business) Trip to Hong Kong Beauty Exhibition. 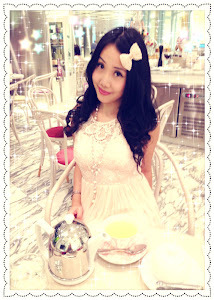 She shares some shopping tips for Prada SPACE Factory Outlet, Sheraton Hotel Oyster Bar, Sevva, LKF, Armani Hotel & Bar. Read about the amazing coloured buildings held once a year in Sydney Australia. Read about Sara Shantelle Lim's amazing travel to Boracay where she visits the famous Spider House, White Beach, Puka Beach, Para-Sailing adventure, Quad-biking adventure, Horse-riding, Snorkelling etc. Read about Sara Shantelle Lim's visit to KOREA together with Celebrity Model DJ Nicole Chen where they explore the Soul of the City in GANGNUM STYLE! 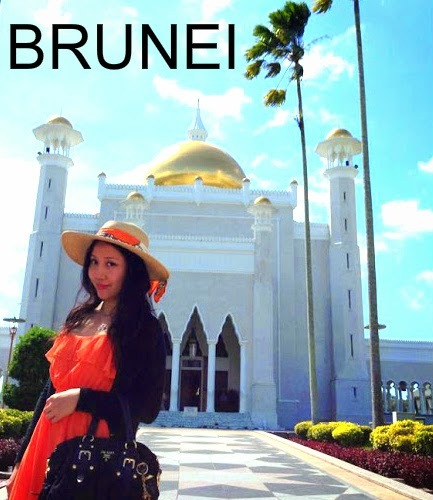 Read about Lora Christelle Lim's interesting travel to BRUNEI by flying Business Class on SIngapore Airlines, staying at luxurious The Empire Hotel and Country Club which costs US$1.1 billion to build and her visit to the country's most famous Mosques, going on a River Safari hunt for Proboscis Monkeys along Kampong Ayer etc. Read about Lora Christelle's visit to Santa Claus Village where she meets the Real Santa Claus and how she learns how to speak and write like the Elves! 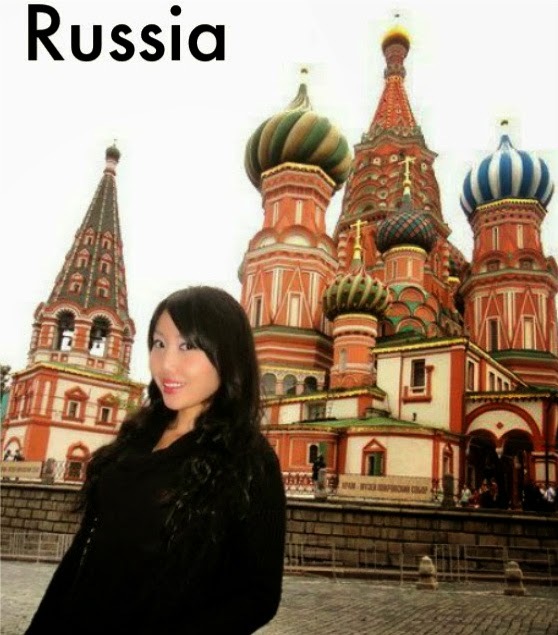 Read about Lora Christelle's interesting visit to Moscow's most iconic attractions such as the St. Basil's Cathedral, The Kremlin, The Red Square etc. and how she dangerously got around on her own where everything was in Russian language. 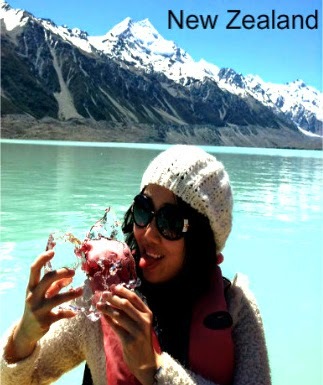 NEW ZEALAND - Most beautiful and scenic country ever! Read about Lora Christelle's visit to New Zealand where she visited the Original Movie Set of "The Hobbits", lick the Tasmanian Ice Glacier, smell the Geothermal Champagne pools and bubbling mud, eat the fresh chocolates in the Cadbury Chocolate Factory and got wet at the famous Milford Sound in Queenstown! 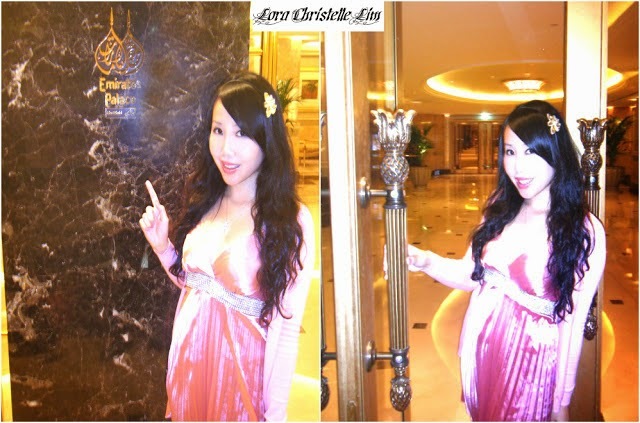 Read about Lora Christelle's luxurious hotel stay at the Emirates Palace and how her personal butler prepare baths for her! Read about Lora Christelle's visit to the Mosque with the World's largest hand-woven Persian Carpet measuring 7,119 square metres, costing around USD 8.2 million dollars and the World's largest 24 Carat Gold-Plated Chandeliers measuring 10 metres in diameter, 15 metres in height and weighing 8-9 tonnes in weight. 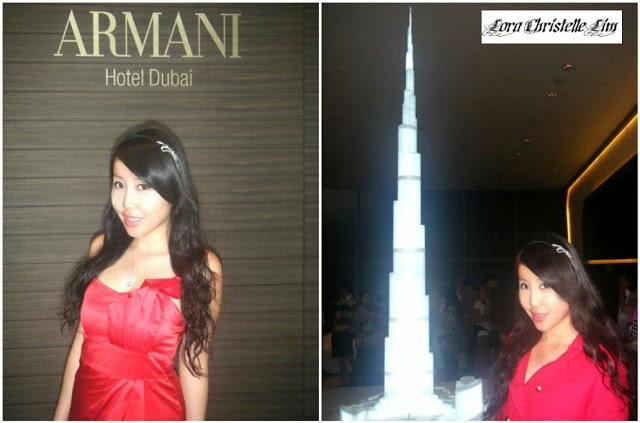 Read about Lora Christelle's luxurious hotel stay at The Armani Hotel where each night costs approximately USD$1,500 and her amazing Armani Spa Experience! Read about Lora Christelle's Visit to The Burj Al Arab where she indulged in Arabian Cuisine at the Al Iwan Restaurant and explored the lavish interiors of the hotel made with the finest! Read about Lora Christelle Lim's trip to PARIS where she visits the famous Mona Lisa at Louvre Museum and visit the Notre Dame, Sacre Coeur Basilica, Arc de Triomphe, LIDO Cabaret Show, dine at 2 Michelin Star Restaurant in Champs Elysees etc. 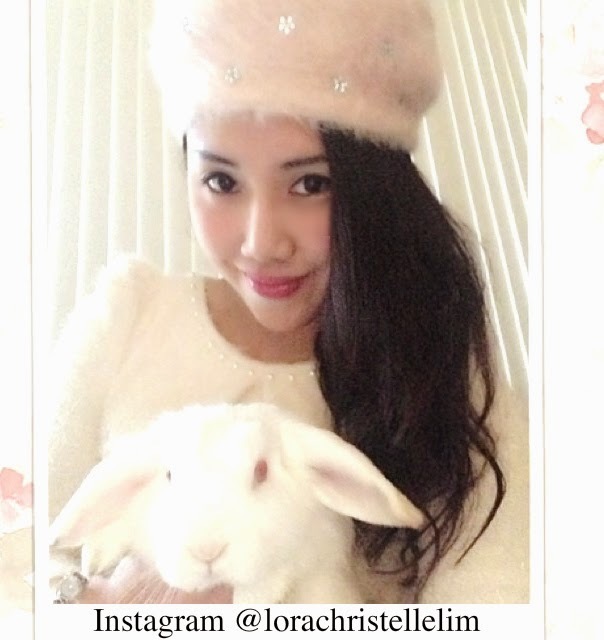 Lora graduated with a Masters in International Business from University of Sydney, in mid 2013. 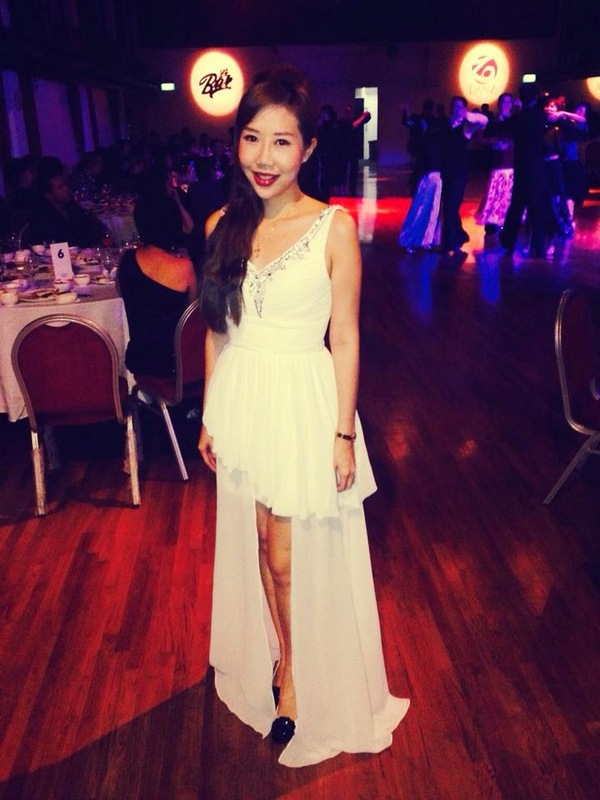 She has close to 4 years of working experience in major banks in Singapore after graduating from National University of Singapore (NUS) with a degree in both Sociology and New Media & Communications. A girl who is passionate about food, fashion, traveling, cooking and baking and cars! A young entrepreneur running her family business. 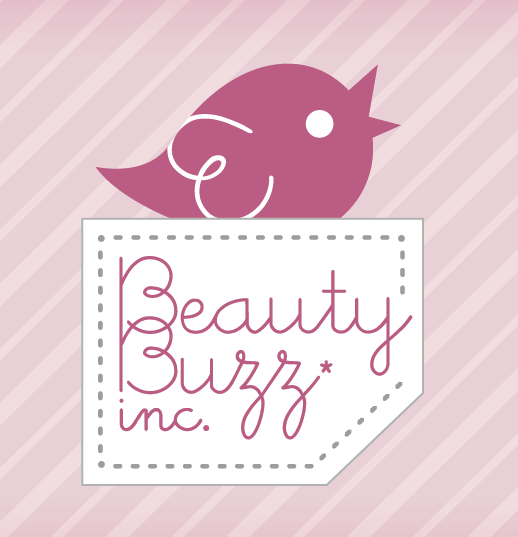 Her family supplies OEM beauty products and machines to Aesthetic Doctors & Spa Owners. She also started her own skincare and beauty products range called SaraShantelle SkinCare. BodyCare. HairCare. It is currently sold in SaSa Cosmetics, Zalora.sg, Clariancy Outlets, SuperberryMe, etc. Her Brand Slogan: Secrets of a Stewardess. 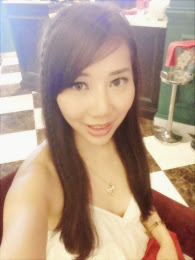 She has over 5 years of working experience flying as an air stewardess. 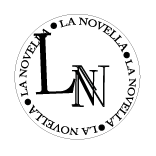 She is currently writing The Novel: Exposé! Dirty Little Secrets of an Air Stewardess, which was featured in the Malaysian, Indonesian, China and Singapore newspapers and magazines. 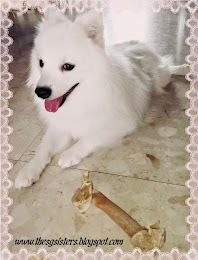 A sneak preview of Chapter 1 to 4 of her novel may be read on her website: http://www.SaraShantelle.com/ (PAYPAL) 10% of all online sales is donated to Singapore's Children Society. 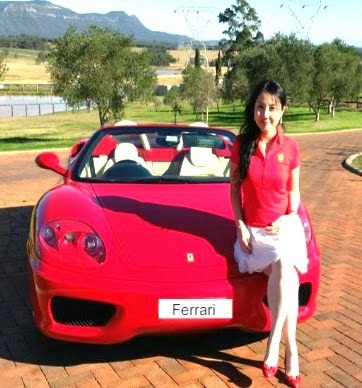 A girl who is passionate about cars, travelling, wine and dine, beauty secrets and special events. Ladies and Gentlemen, welcome onboard. 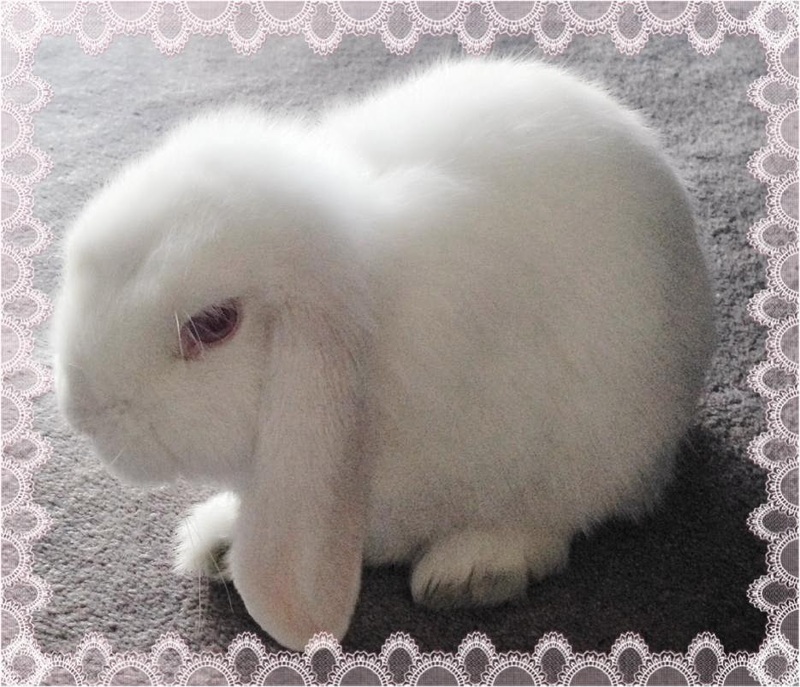 I am Alastinelle and I will be looking after you today. Please do not get on my nerves as I am not in a good mood today. I just had a huge argument today and just broke off with my boyfriend. I will not entertain any nonsense from you now and no, I will not change your kid’s diapers. The pilot has reported bad weather today and he is awfully right about that. My mood has just swung from a bright sunny summer afternoon to a stormy sea wreck in the last half an hour. Please do not be deceived by my thick dazzling make up. Beneath it, I have eye rings worse than a giant panda from South Western China. Please carry your own over sized luggage and find your own seats. As you can see, I am smaller than you are and I have to fit into this ridiculously tiny uniform. My back is not any stronger than yours and I do not plan to injure myself in any way that the company insurance would not cover. If your bags do not fit into the tight over head compartments, then, you should not have brought your whole closet with you. Your seats are lined in running numbers and alphabetical order. If you do not know where your seats are, you should go straight back to kindergarten pre-school. Please do not ask me for newspapers or water right now, as you can see I have to put these thick winter jackets into the closets, get some infant seat belts for the seven crying babies, distribute countless of stuffed toys and crayons for the never ending train of boisterous children that just came onboard. Not forgetting to give the portly lady in seat 43A some Aspirin because she is suffering from some head pains and to calm the old wrinkled man seated in 56H due to fear of flying and crashing in the middle of the Mediterranean Sea. 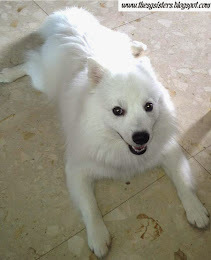 Click on image to read more about our beloved doggy who is almost 3 years old now! 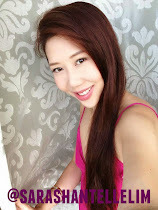 Beauty & Aesthetics: Celebrity Eyebrow Embroidery Specialist - Irene Teo (Singaporean) - I had my 3D Korean natural looking Eyebrow Embroidery Enhancement done by Irene Teo.